21 Shots – The Shot bar is now open in Sector 29 and promises a boozy evening and a very hungover morning-after. 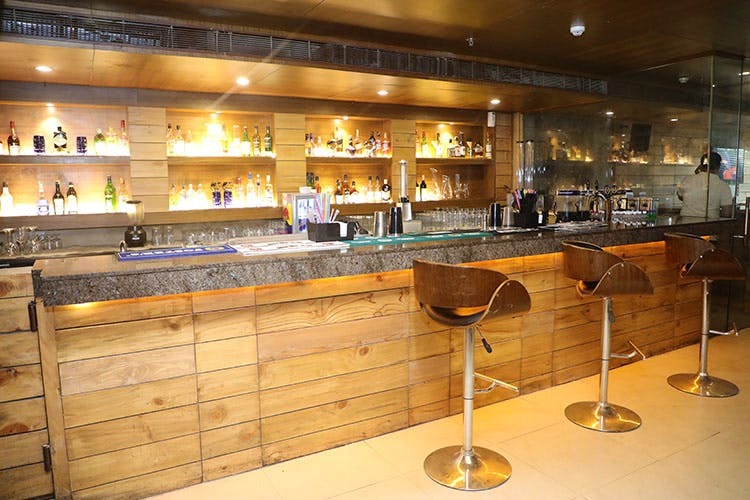 This newbie in one of Gurgaon’s favourite markets has an impressive cocktail menu – choose from shandies, sangria and spiked bantas. The other thing we love about 21 Shots is that prices aren’t sky high – a bucket of Kingfisher Premium is for INR 825. Of course, the piece de resistance is their carefully curated shots menu. Brain Hemorrhage, B-52 or the all-time favourite, Jager Bombs – 21 Shots is great for a big celebration. The food menu is a comforting mix of pizzas, pastas, kebabs and fail-safe starters like nachos, chilli chicken and momos. Head to 21 Shots – The Shot Bar with your closest friends and don’t forget to appoint a designated driver.